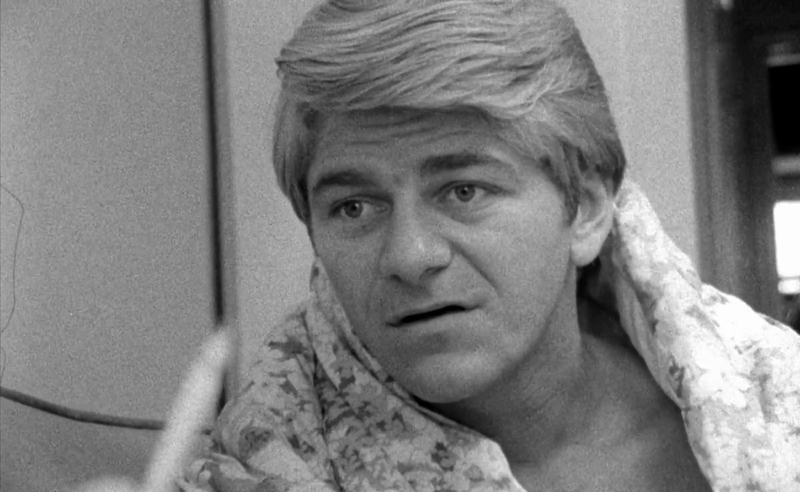 Seymour Cassel, the character actor who became one of the great faces of the American independent film movement, passed away on April 7 at the age of 84 from complications stemming from Alzheimer’s disease. During a career that stretched over seven decades, racked up more than 200 screen and television appearances and earned him an Oscar nomination, he became a favorite of several generations of filmmakers and audiences alike. Although Cassel turned up more often in supporting roles than in leads, he always made the most of the screen time he was given. And when he did turn up, viewers who might not have known his actual name would instantly recognize his distinct look and sound. He was one of those increasingly rare performers whose mere presence in a film meant that things were almost certainly going to be interesting, so long as he was on the screen. Born in Detroit on January 22, 1935, Cassel traveled with his mother, a burlesque dancer, and began performing vaudeville at the age of three. At the age of 17, he enlisted in the Navy and when he got out, he made his way to New York to further pursue a career in acting, studying at the American Theatre Wing and being tutored by the likes of Stella Adler and Lee Strasberg. In the mid-1950s, Cassel answered an ad seeking people to participate in a recently started acting workshop and that is where he met the group’s leader, John Cassavetes. This began an extended collaboration that would span several decades, encompass seven films, and lay the ground floor for what eventually became American independent film. In fact, Cassel made his screen debut in Cassavetes’ first film as a director, “Shadows” (1958), in which in not only played a small role but also served as an associate producer and camera operator for that micro-budgeted drama about the relationships of three African-American siblings, two brothers trying to make it as jazz musicians and their lighter-skinned sister who goes through a trio of romantic relationships. After this film, which would go on to win the Critics Award at the Venice Film Festival in 1960 and become considered a landmark work of independent cinema, Cassel and Cassavetes collaborated on “Too Late Blues” (1962), “Faces” 1968), “Minnie and Moskowitz” (1971), “The Killing of a Chinese Bookie” (1976), “Opening Night” (1978) and “Love Streams” (1984). In “Faces,” the film that earned Cassel an Oscar nomination for Best Supporting Actor, he plays a hippie who ends up picking up an upper-middle-class woman (Lynn Carlin) who is stuck in a terrible marriage; Cassel makes a rich and painfully relatable character out of a part that could have easily been reduced to a collection of cliches. “Minnie and Moskowitz” was a comedy/drama in which he plays a parking attendant—one armed with one of the great mustaches in screen history—who tries to win over a romantically disillusioned museum curator (Rowlands) and if the resulting film is generally not ranked as one of Cassavetes’ best, it is one of his most instantly engaging thanks to the wonderful byplay between its two leads. In “The Killing of a Chinese Bookie,” Cassel plays a mob-connected club owner who sets up a compulsive gambler (Ben Gazzara) to commit the seemingly innocuous titular crime that turns out to be far more complicated than it seems. Cassel would then play himself in a brief appearance in “Opening Night” and work with Cassavetes one last time as Rowlands’s estranged husband in the director’s last (and perhaps best) major work, “Love Streams.” In these roles, Cassel ran the gamut from comedy to romance to drama to tragedy, and if he ever hit a false note at some point, I do not recall it. 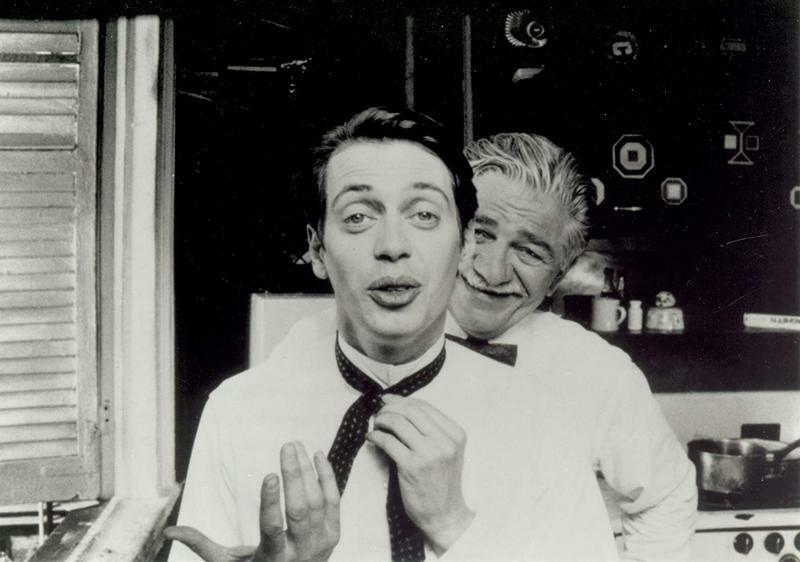 Seymour Cassel and Steve Buscemi in "In the Soup"
Although Cassel would have more than qualified for a place in the character actor pantheon based solely on his work with Cassavetes, his career got an unexpected and entirely welcome second wind when a new crop of filmmakers who had admired those performances began utilizing him in their own projects. In Alexander Rockwell’s “In the Soup,” he plays a somewhat shady guy who offers to fund the seemingly unfilmable passion project screenplay of a struggling filmmaker (Steve Buscemi) and ends up getting him involved in a number of increasingly bizarre schemes. Cassel’s performance was one of his very best, allowing the character's humor to shine through without making him seem like just an implausible goofball—the turn would earn him a Special Jury Prize at the 1992 Sundance Film Festival (where the film itself won the Grand Jury Prize) as well as the Silver Hugo from the Chicago International Film Festival. From this point on, Cassel would work steadily for the remainder of his career, appearing in such films as “Honeymoon in Vegas” (1992), “Indecent Proposal” (1993), “It Could Happen to You” (1994), “Dead Presidents” (1995), “Trees Lounge” (1996), “The Crew” (2000), “Stuck on You” (2003) and “Postal” (2007). Of the work in this later period of his career, his most significant collaboration would be with Wes Anderson, who cast him in three movies, “Rushmore” (1998), “The Royal Tenenbaums” (2001) and “The Life Aquatic with Steve Zissou” (2004). Of the three, the most significant was in “Rushmore” (pictured at top), which resulted in one of the very best performances of his entire career. As the simple barber father of an ambitious son—who, embarrassed by what his dad really does for a living, claims that he is really a brain surgeon—Cassel isn’t on the screen that much, but he makes every moment count with a performance that perfectly captures the spirit of Anderson’s alternately genial and melancholy work. When his son acts embarrassed by him, he puts on a brave face but you can see the heartbreak in his eyes. Later on, when he is introduced to Herman Blume (Bill Murray), the depressed millionaire whom his son has tried to make into a sort of father figure, it's one of those scenes in which everything is pitched so perfectly, thanks in no small part to Cassel and Murray's performances as their characters size each other up, that it's impossible to think of the film without it. Both a character actor and a character himself, Cassel had the kind of life and career that stretched so far and touched so many people in unexpected ways (did you know that he apparently gave Slash from Guns 'n Roses his nickname?) that if you tried to turn it all into a movie, it would seem almost too implausible to believe. With his sly smile and courtly charm, both of which could turn in an instant when required, he made good movies great and iffy ones watchable. Cassel was a genuine original, and while it's sad to think that there will be no more performances from him, at least the considerable body of work he has left behind will continue to entertain and astonish viewers for years to come.